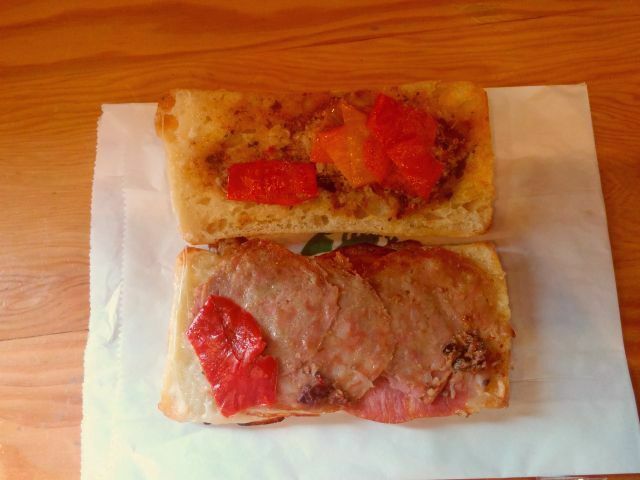 Starbucks' Italian-Style Ham & Spicy Salami sandwich features slow-roasted ham, Calabrese salami, spicy pickled red peppers, aged provolone, and olive spread on a toasted Ciabatta roll. I got one for $6.45. 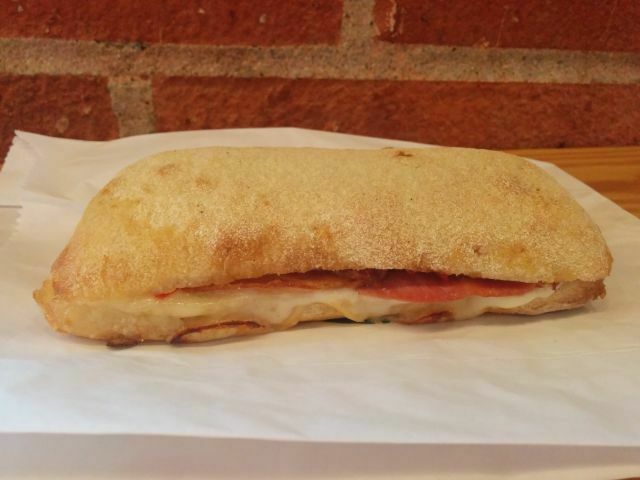 The ciabatta came toasted with a nice crispy crust. The crumb was airy, moist, and chewy. There's a definite and powerful olive funk to the sandwich that I can see being very polarizing depending on your take on the savory fruit. Another strong component were the spicy pickled red peppers. They added a substantial kick just a light pickled finish. I had to pause a few times while eating to let my tongue cool off. The meats offered a nice, varied flavor and texture and, while thin, was enough to be noticeable in most bites. The cheese on the other hand wasn't impactful enough to do more than struggle through the olives and peppers. 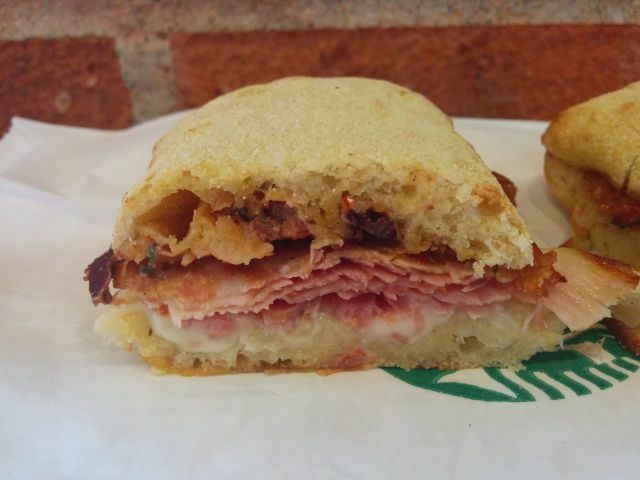 Overall, Starbucks Italian-Style Ham & Spicy Salami was an interesting and well-put together sandwich. 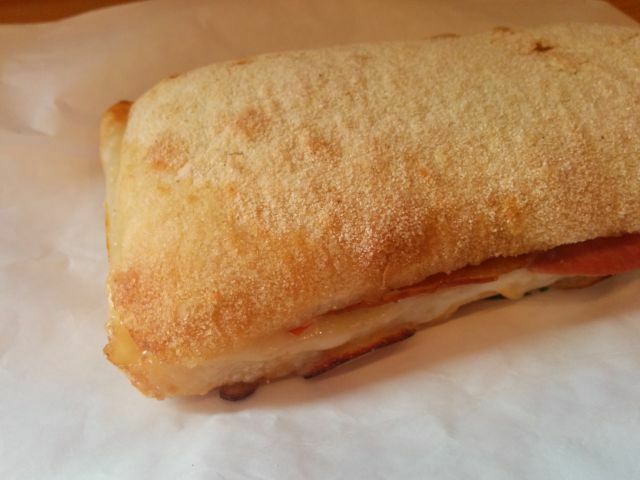 It offers a unique taste I haven't encountered in another sandwich but it might be too heavy on the olives and spice for me.